There are many felonies in Florida such as: murder, robbery, burglary, arson, aggravated assault, aggravated battery, carjacking, and kidnapping. Florida Statute 790.07 says that if anyone at least carries a weapon on them while committing any of the 18 felonies listed in this statute or while under an indictment, they are committing at least a third-degree felony. The Florida definition for weapon includes, but not limited to, all sorts of things such as: knives, machetes, tear gas, tazers, over 2 ounces of pepper spray or mace, and brass knuckles. Firearms are not classified in the definition of weapons. Committing this crime with a firearm is a second-degree felony. When a defendant commits this crime, they are going to be also committing the same elements to be charged under Florida’s 10-20-Life rule. See Florida Statute 775.087. Florida has the 10-20-Life rule which enhances criminal punishments when weapons are involved in one or more of the 18 listed felonies. If the object carried was a gun, then there will be a minimum mandatory sentence. Anyone charged with this crime should seek an experienced criminal defense attorney for help in navigating this charge. Thankfully, the Double Jeopardy Clause of the United States Constitution and the Florida Constitution protects any defendant from being convicted and double punished for this crime and the felony crime they were committing with the gun. See Law v. State and Gracia v. State. (2) You did this while committing or attempting to commit a felony. Just like a person who climbs to the top of a tree breaks branches, committing certain crimes requires the breaking of other laws. An individual charged with having a weapon while engaged in a criminal offense might have also committed other crimes such as criminal attempt, carrying a concealed weapon without a license, or improper showing of a dangerous weapon. Whoever uses a weapon (non-firearm) commits a third-degree felony that is punishable up to 5 years in prison and a $5,000 fine. If a person is convicted of this crime a second time, then it is a first-degree felony that is punishable up to 30 years in prison and a $10,000 fine. Florida is a friendly state to legal gun owners but tough on individuals who commit crimes with guns. If you have a gun on you or use it during a felony, then it’s a second-degree felony punishable up to 15 years in prison and a $10,000 fine. A person who has been previously convicted of this crime and commits it again is guilty of a first-degree felony punishable up to 30 years in prison and a $10,000 fine. 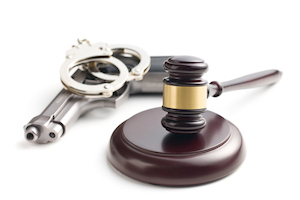 If you have been arrested and charged with having a weapon while committing a crime, call The Law Office of Roger P. Foley, P.A.. Our attorneys are knowledgeable in this area and will assist you in dealing with this extremely difficult problem.